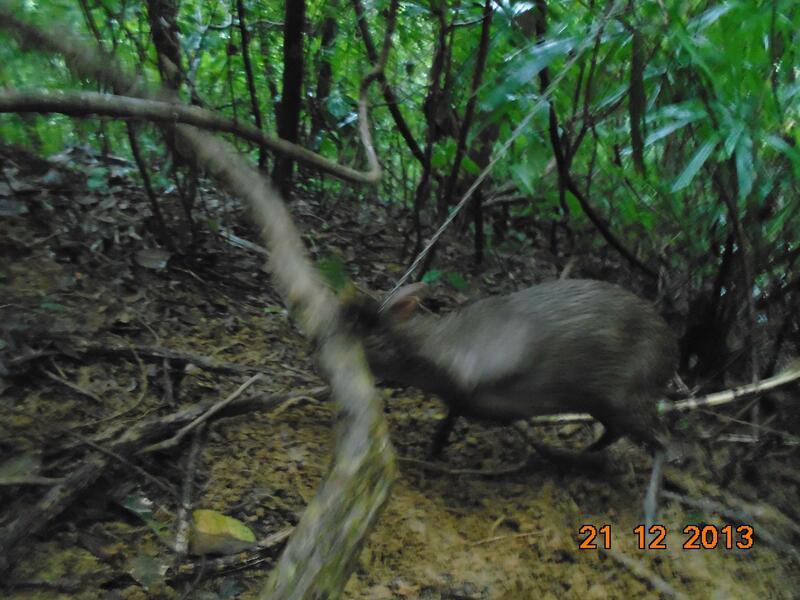 A rare Annamite dark muntjac (Muntiacus truongsonensis) was recently discovered caught in a snare in the remote jungles of the Hue Saola Nature Reserve. 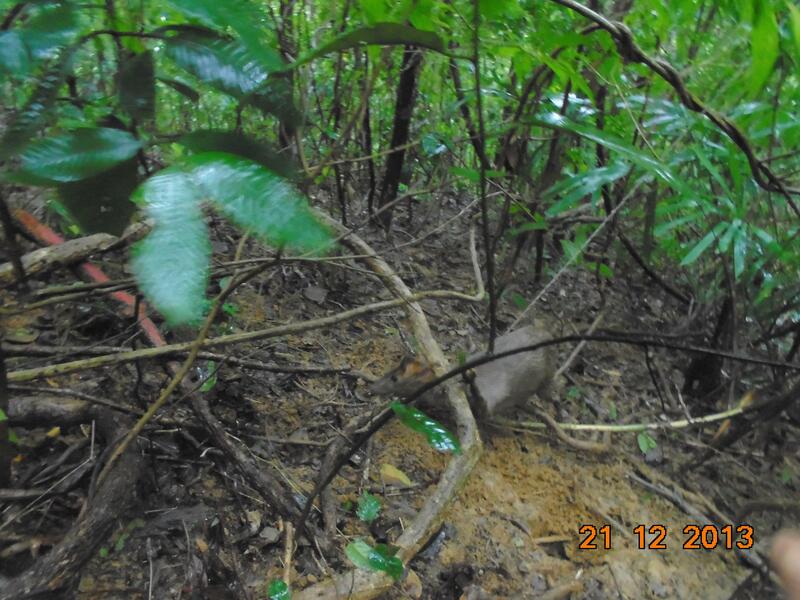 Mr. Bui Huu Vinh, the Forest Guard team leader, said that his team saw fresh hunter tracks in the mud, then heard the screaming of an animal in distress. They ran toward the sound and found the diminutive deer struggling helplessly in a wire foot snare. It was released unharmed. Several other snares in the immediate vicinity were found and destroyed. This is a truly remarkable find. It is a glimpse of one the rarest and most unknown deer species on the planet. It is also the first time the animal has been seen in the wild in over ten years. We now have hands-on proof that the samsoi cacoong, or “the deer that lives in the deep, thick forest,” survives in heavily poached forests of Vietnam. But the relief is, for me, short lived: How many other Annamite dark muntjac are caught in snares, waiting to die? Can a species that is so heavily hunted persist in central Vietnam? Will it slip into extinction less than twenty years after it was discovered by science?